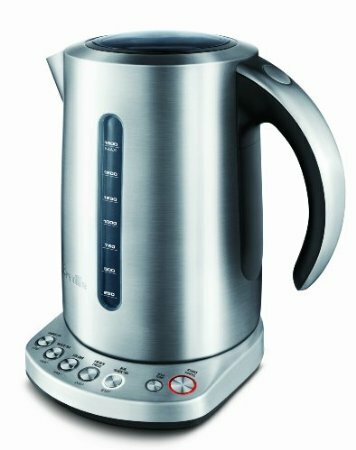 What sets this kettle apart from other similar products is the variable temperature setting that enables water to be heated according to the four major tea types and French press coffee. The 5 pre-set temperatures are as follows: 175F for Green Tea; 185F for White Tea; 195F for Oolong Tea; 200F for French Press: and 212F for boiling and black tea. It also has a boil-dry protection, removable scale filter, and water level indicators on both sides.